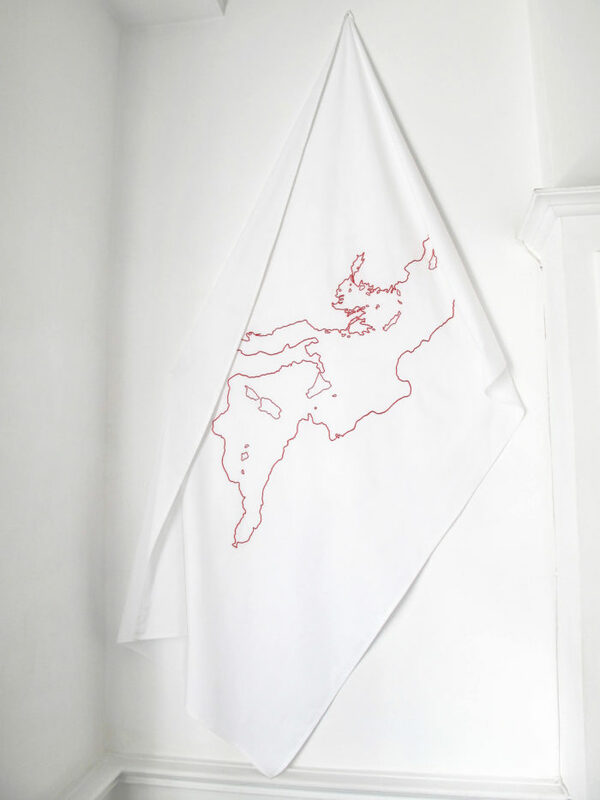 Created through a collaboration between Aglaia Haritz and Abdelaziz Zerrou, the project Embroiderers of Actuality is meant as a space for exchange between local populations, represented by women embroiderers, artists and the public. It is an exchange where art is utilized as a means that triggers a process of questioning and assembly. Through this project, the artists suggest a discussion concerning the role of women in the Arab world, with a special focus on Morocco. Embroiderers of Actuality works with texts about art, poetry, and literature written by Moroccan women (contemporary and past), making it thus, a project of interaction. 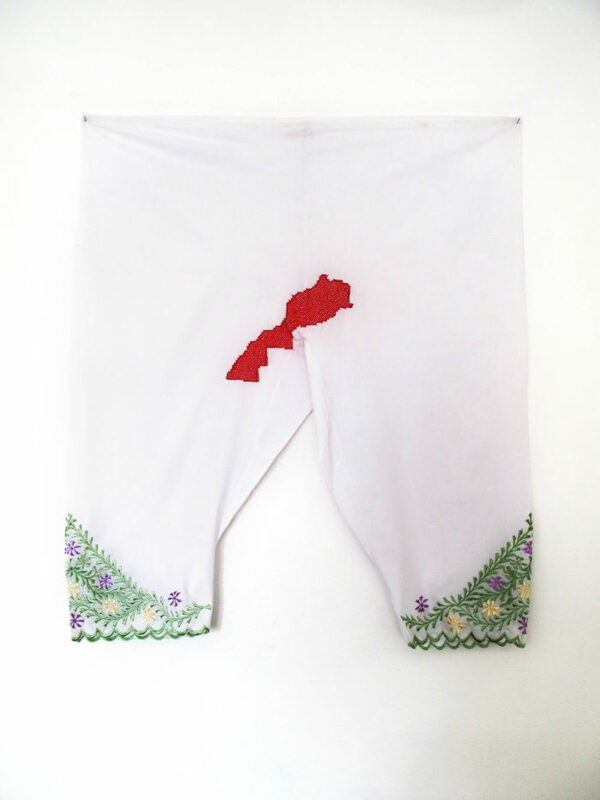 For Le cube- independent art room, Embroiderers of Actuality approaches problematics related to sexuality by taking into account embroidered signs. The project also includes two video testimonials of women embroiderers, concerning their positioning in a complex context. Indeed, the project tackles the notion of sexuality but also that of resistance, social change, and stories revisited through embroidery and literature by Moroccan women. Embroiderers of Actuality gives the floor to citizens, invites them to debate, renders porous the borders between private space and public space, and highlights the social, political and cultural issues of contemporary art. Reuniting plastic disciplines, Embroiderers of Actuality raises voices of women who have not been heard. The project aims to stimulate, through exchanges, discussion and rise in awareness of the intersection between individual sensitivity and collective sensitivity. This project, of which the first stage was carried out in Cairo, will take place in several cities of the Arab World.